The sort-of-awesome-looking-but-how-do-you-make-a-call-with-no-top-speaker, bezel-less phone from Sharp that was announced yesterday, also known as the Aquos Crystal, is now official for Sprint, Virgin Mobile, and Boost Mobile, here in the US. We knew this was coming, but weren’t sure after yesterday’s announcement in Japan when we should expect the phone and how much we might pay for one. We still don’t know when it will be available, but you can buy it for as little as $0 down and with 24-monthly payments of $10 on Sprint. 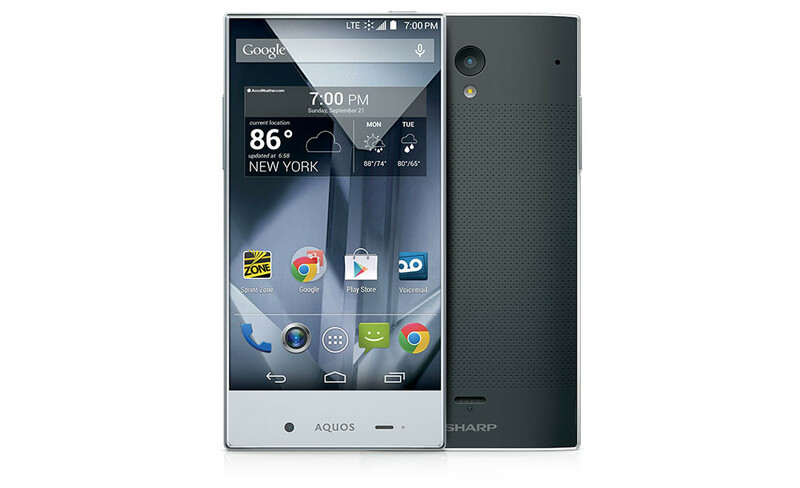 As a recap, the Aquos Crystal sports a 5-inch HD (720p) display, Android 4.4.2, Harman Kardon audio, 8MP rear camera, 1.2MP front camera, 2,040mAh battery, 1.2GHz quad-core processor, 1.5GB RAM, and 8GB internal storage with micro SD support. So it’s not a flagship, but it also hasn’t been priced like one. If you want a decently equipped phone on the cheap, that also rocks out with one of the craziest looking display and body combinations ever created, maybe this is an option.